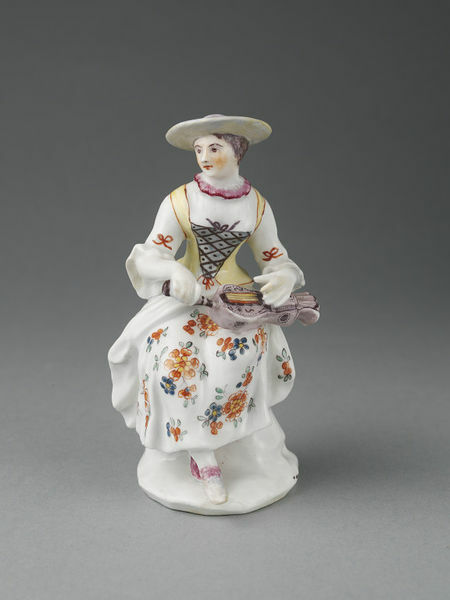 Figure of a hurdy-gurdy player in soft-paste porcelain painted with enamels. She sits playing the instrument. Figure of a hurdy-gurdy player in soft-paste porcelain painted with enamels, Bow Porcelain Factory, Bow, ca. 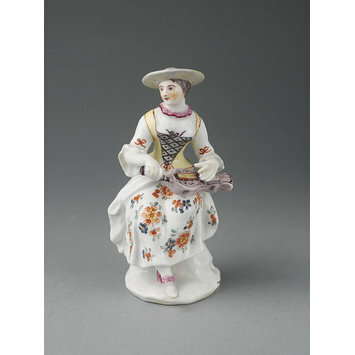 1755.